*NEW FOR 2019* the Brewers Guide to Registering for GABF will not be mailed! Find the most up-to-date info on participating right here on this site. How is the GABF judged? IMPORTANT: Breweries will be assigned to the correct Brewery of the Year category based on 2017 barrelage and brewery type. Size is defined by production volume of the individual operation that holds the brewing license. *Brewpubs: Note: BA re-categorizes a company as a “brewing company”(packaging brewery) if its off-site (distributed) beer sales exceed 75 percent. Does my brewery fall into the “brewpub” or “brewing company” category? For purposes of the competition, brewpubs are considered a restaurant-brewery (i.e. has its own kitchen for food service) that sells 25% or more of its beer onsite. The beer is brewed primarily for sale in the restaurant and bar. Small breweries that sell most of their beer out of a taproom but not serve food from an in-house kitchen would fall into the “Brewing Company” categories, based on 2017 barrelage production. We allow a team concept for the Brewer of the Year award. There are two choices for this recognition: individual names (up to two people) or “Brewery Team Name”. One trophy is presented in either case. Brewery and Brewpub of the Year winners are determined based on the results of the competitive beer judging held at the Great American Beer Festival. All entries entered into the competition count toward Brewery of the Year points. Breweries are awarded points based on medals won, and these points are tabulated to arrive at the results. The second and third criteria recognize overall competitiveness by achieving medals in categories with more entries than others. 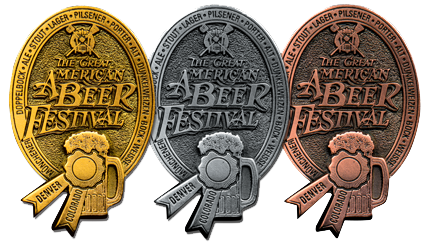 Winners of the GABF medals will be announced on Saturday at the GABF Awards Ceremony at the Colorado Convention Center. Winners of the Brewing Company of the Year and Brewmaster of the Year awards will also be announced at this time. Lists of medal winners and the number of entries in each category will be available after the winners have been announced. During first-round beer tastings, each judge completes a beer tasting form for each beer judged. Brewers should each receive a minimum of three beer-tasting forms for each beer entered. Judging results will be sent within 60 days of the end of the Festival. The Great American Beer Festival held its first competitive judging in 1987. The GABF invites industry professionals to sit together in small groups and, without knowing the brand or brewery name, evaluate beers in defined style categories. The ultimate goal of the GABF Judge Panel is to identify up to three world class beers that best represent each beer style category as described and adopted by the GABF. Brewers entering beers into the GABF competition should carefully review the category and subcategory designations before registering their beer. Each brand may be entered only once. If a brand is entered more than once in the GABF, it will be disqualified from the competition. It is imperative that beers are entered into the proper category and subcategory since judges evaluate beers on the basis of these category and subcategory descriptions. Brewery and beer brand information is publicized exactly as it is provided on the entry forms by the entering brewery. In an effort to eliminate the possibility of error, please review your confirmation letter carefully, and then sign and return it, indicating your final approval of your company name, all spelling and also categories and subcategories. Awards are only given in categories and not in subcategories; however, judges do evaluate beers based on their adherence to the subcategory guidelines provided in this guide. It is the responsibility of each brewery to enter its beer in the appropriate category and subcategory. GABF and Brewers Association employees cannot aid breweries in this decision. Information regarding the number of entrants for a particular category of the 2017 GABF judging is made available at the Awards Session. In 2017, if six or more beers are entered into any one category, these beers are judged and are eligible to win an award. The GABF, however, reserves the right to discontinue categories in the following year to reflect changing market conditions and brewing interest. The Great American Beer Festival Competition Manager selects judges from a list of internationally recognized brewers, sensory experts, suppliers, writers and consultants. These individuals have been selected on the basis of: (1) formal sensory training; (2) experience evaluating beers on flavor panels and/or at competitions; (3) judging demeanor; (4) knowledge of beer styles and the brewing process; and (5) industry and peer recognition. 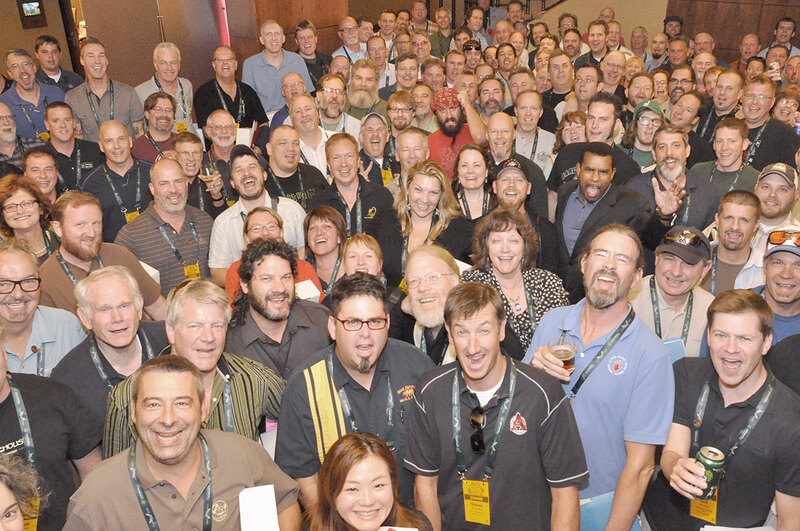 Each year the GABF judge panel includes up to 20 new judges to keep the panel fresh with new ideas and palates. Prospective judges must communicate in fluent written and verbal English, must have formal sensory training, and must participate in regular flavor panels or competitions. 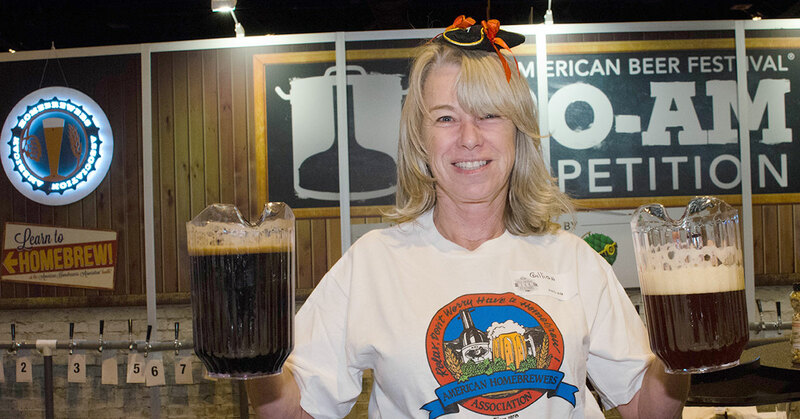 Interested new judge candidates should contact Great American Beer Festival Competition Manager Chris Swersey by email: chris@brewersassociation.org for more information. The current backlog of new judges is roughly 2-3 years. In recognition of the collaborative spirit of the craft brewing community, we’ve added a new competition this year. These entries will be evaluated similar to the Pro-Am Competition, in a Best of Show format. Eligibility: Entry is limited to small and independent breweries meeting the definition of craft (see definition here). One of the collaborating breweries must have beers entered into the competition. Collaboration is “brewer to brewer” only. Judging: beers are due in the same format and at the same time as all other competition entries, and will be judged in a “best of show” format, similar to the GABF Pro-Am Competition. For the festival: brewers are encouraged to send kegs or bottles of these beers to be poured for attendees in at a separate “Collaboration Beer” booth at the festival. Limitations: limited to 48 entries. First come, first served. Once the 48 entry cap has been reached, no additional Collaboration Beer Competition entries can be accepted. Each brewery may participate in a max of two (2) collaboration beer entries. A Maximum of 10 collaborating brewereis may be involved in a collaboration entry. Collaboration Beer Competition entries do not count toward Brewery of the Year awards. All collaborating breweries, must sign a Licensing Agreement prior to the submission of entries to the GABF. The Licensing Agreement limits and protects the way the GABF trademark is used. First come, First Served: The GABF Pro-Am competition is limited to 132 entries. These will be first come,first served during the beer registration process. Once filled, no additional pro-am entries can be accepted. The Brewers Association and the American Homebrewers Association are proud to present the 14th Annual GABF Pro-Am Competition of the Great American Beer Festival. Please read all of the Rules & Regulations before entering the GABF Pro-Am Competition. Breweries that have entered at least ONE brand in the GABF competition/festival are eligible to enter a beer in the Pro-Am Competition. Breweries are not allowed to enter ONLY the Pro-Am Competition. The entry fee for the Pro-Am is $160. Beers entered in the GABF Pro-Am competition must be commercially available. Commercially available means the entered brand has been available for sale at retail by August 15, 2018. All GABF eligibility rules apply to Pro-Am entries. Beer entered in the Pro-Am competition must be served at the festival and cannot be entered solely as a “judge only” entry. Pro-Am beer is served at a designated GABF Pro-Am booth in the festival hall, thus is not counted toward the maximum number of beers that can be served at the brewery’s booth. However, the brewery may choose to offer the Pro-Am beer as one of their five festival beers at their brewery booth as well. Each beer entered in the Pro-Am competition is served during one of the four tasting sessions. Breweries may request an additional 1/6 bbl MicroStar keg for their Pro-Am beer to be served at the Pro-Am booth. Select an award-winning homebrew from an American Homebrewers Association (AHA)/Beer Judge Certification Program (BJCP) sanctioned homebrew competition held on or after January 1, 2017. Organize your own brewery-run and/or AHA/BJCP sanctioned competition on or after January 1, 2017. Partner with a local homebrew club to organize an AHA/BJCP sanctioned competition on or after January 1, 2017. The nature of the competition is entirely up to the brewery and must be timed to give the brewery adequate time to brew the beer to be ready for entry to the competition. The brewery may choose to work with an existing competition or create their own. Breweries may restrict the styles eligible for Pro-Am entry selection tos tyles they can reasonably brew. For example, breweries may choose not to accept recipes for fruit beers, sour beers, or beer requiring extended aging, etc. Breweries brew the winning beer from the recipe submitted by the winning homebrewer. The winning homebrewer must be an AHA member at the time the brewery enters the GABF competition (June 2018) and must have a valid AHA membership at the time of the GABF (September 2018). All brewery entrants must be members of the Brewers Association. Individual AHA members may be associated with no more than one entry submitted into the GABF Pro-Am Competition judging at the GABF. Limited modifications of the recipe are allowed to accommodate the scale of commercial brewing and ingredients available to the brewery. The homebrewer brewing their recipe with the professional brewery CANNOT be, or have ever been, an employee of that brewery or on the brewing staff, which includes employees involved in the brewing process (i.e. brewer, lab technician, cellar crew) at any brewery. Employees of the Brewers Association are ineligible. See our Events Calendar for a calendar of upcoming AHA/BJCP sanctioned competitions or go to the BJCP website to register a competition. Breweries may wish to partner with a local homebrew club or homebrew supply shop if they wish to organize their own competition. See HomebrewersAssociation.org for homebrew club and shops directories. Contact John Moorhead, American Homebrewers Association Competition Coordinator, at 303.546.6574 or john@brewersassociation.org for more information. All entrants, both professional and amateur brewers, must sign a Licensing Agreement prior to the submission of entries to the GABF. The Licensing Agreement limits and protects the way the GABF trademark is used. The $160 charge for GABF Pro-Am Competition entry fee is the same as the fee for all other GABF entries. No more than one entry per brewery is accepted in the GABF Pro-Am Competition. No more than 132 total entries are accepted for this competition. Entries are accepted on a first come, first served basis. 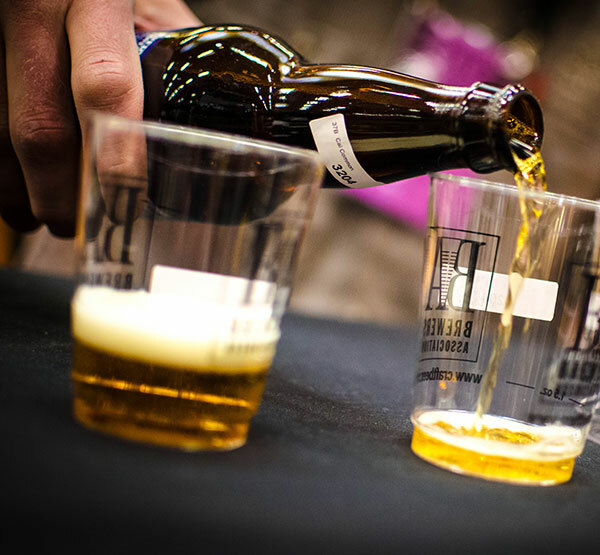 GABF Pro-Am entries compete in a best-of-show style judging that takes place over two rounds. The first round of judging happens before regular GABF judging, with advancing entries moving on. The GABF Style Guidelines and a combination of BJCP and GABF judge panels are used for the judging. Entering brewers must provide the appropriate GABF category name and number along with any requested supplemental information for the entry to be judged correctly. Entries that do not include this information will not be accepted. 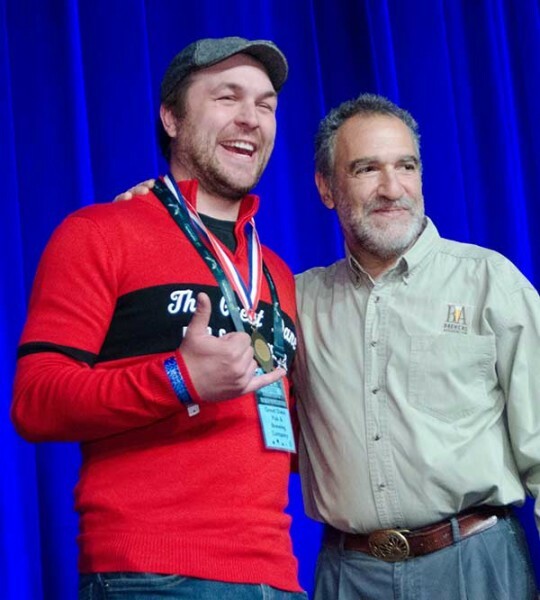 Judges will determine the top three entries in the GABF Pro-Am Competition, which are awarded Gold, Silver, and Bronze GABF Pro-Am Competition medals during the GABF awards ceremony. Medals are issued to both the winning brewery and the winning homebrewer. The Pro-Am medals do not count towards “Brewery of the Year” awards, and therefore, are not counted for Brewery of the Year points. Attendance limited to breweries entered in the competition. Maximum of four reps per Brewery. RSVP required.